The Financial Conduct Authority (FCA), a British financial watchdog, Tuesday announced that it had fined Aviva Investors Global Services Limited 17.6 million pounds (or 27.1 million U.S. dollars) for systems and controls failings. The failings have led to dysfunction in managing conflicts of interest fairly, said FCA in a statement. These weaknesses led to compensation of 132 million pounds being paid to ensure that none of the funds Aviva Investors managed was adversely impacted, FCA added. 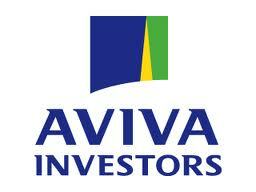 The regulator noted that from Aug. 20, 2005 to June 30, 2013, Aviva Investors employed a side-by-side management strategy on certain desks within its fixed income area whereby funds that paid differing levels of performance fees were managed by the same desk. Aviva Investors breached FCA’s management and control, and conflicts of interest business principles, the regulator said. “This case serves as an important reminder to firms of the importance of managing conflicts of interest effectively by implementing a robust control environment with effective systems to manage the risks. Not doing so risks customers’ interests being overlooked in favor of commercial or personal interests,” said Philippou.